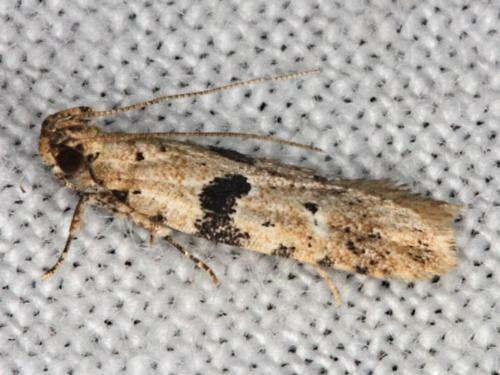 The adult moths of this species are pale brown with black markings including a black band across each forewing. The hindwings are pale brown. The wingspan is about 1.5 cms. Volume 17 (1893), p. 170.